My sister's PETS Clinic had free skating today out at the Roller Derby place which is basically the old Sandy Beach Skating Rink. They kids love to skate and had to go:). I didn't stay because the World Cup Final was on and I couldn't miss that. I grew up in that building learning to skate there. And the pool there (well was there) was where I learned to swim and we went there all the time. It's crazy how run down it is but I'm glad to see they have this building back up and being used. I think the kids had a lot of fun! Mom's birthday is not until Monday the 14th but we celebrated this evening with the rest of the family at our normal 5:30 Saturday dinner. We ate at yummy Olive Garden. My sister and I truly have a wonderful mom. She does so much for the both of us and never complains. She honestly never says no when I ask her to watch the kids, pick up the kids, help me with this or that. She is so giving of her time and I could never ever tell her thank you enough. I just hope I'm the same kind of mom always to my two. And the kids have the best Grammie. They love her to pieces and would spend everyday with her if they could. Happy Birthday Mom! Today we finished up another week of camp for each kid. I don't know what I'm going to do next week when we don't have somewhere to go every morning. We have had something every single week since the beginning of summer. Monday Kohen headed to WFHS Boys Basketball Camp. Kohen hasn't attended a basketball camp ever so he was ready to go. Kresee headed to River Bend Nature Center Camp this week. She loved it last year and was super excited to be going back. She had an amazing week and loved every minute of it. She is already wanting to go back so I will probably sign her up for the next one in a couple of weeks. She loves bugs and critters. She couldn't wait to get there every morning because there was a worker who was always cleaning the cages out and he always let her pet a snake. Then she had to check on this new baby turtle every morning. She was in bug heaven. On Wednesday, a group of the boys got to all go swimming together and play. Kohen was super excited about it and loves hanging out with friends. His camp ended yesterday and I have to say I'm pretty proud of this guy. He works really hard in basketball and it has paid off. There were only a few awards given and he got the best one! He was named MVP of the whole camp. He was ecstatic! He will be attending the MSU basketball camp in about 2 weeks and I hope he loves it as much as he enjoyed this one! We spent the weekend at Possum Kingdom for the 4th of July like we do every year. It's probably the kids favorite weekend of the summer. We have a great view of Hell's Gate off to our left and it's nice watching all the crowd on the water. Red is really enjoying the lake much more this year than last year because now he can actually see everything. It's also much less stressful on Kerry and I. It was hard making sure he didn't fall over all the rocks and little drop-offs last year. He loves snoozing at the lake and playing with the puppies. We never thought Red would be the one to entertain the two girls all the time. Ellie and Sugar don't want anything to do with the pups . We drove in the pontoon over to Sandy Beach. The lake is crazy low and so it was hard maneuvering around all the tree stumps to find a spot to park the boat. I managed to get a picture of the 4 of us before the kids took off to play! Kresee loved her patriotic bikini this year! She loves to hunt for shells more than anything! Kohen drove the boat most of the way back home...he did a pretty good job! What I was doing as much as I could: watching the World Cup Semi Final games...Ellie, Red and Sugar were usually squished in the chair with me. On Saturday, we headed over to Hell's Gate. Kresee wasn't liking the dock rocking so much from all the boat traffic while we loaded up. Two labs: Dot Dot and Nacho befriended the boys and they played ball with those dogs for a couple of hours. I think the dogs lived a few houses down from where we anchored and loved playing with anyone that was willing. Kresee and Kenzie swam over to the shore like the boys and they collected more shells than they could handle. She wanted me to take a picture of her in her new 4th of July outfit that Grammie got her. We headed up to Sulphur, OK for a weekend of family fun at Premiere Lake Property. My sister planned this trip and it was such a great idea. 24 of us rented out 3 cabins on this small private lake and we basically had it all to ourselves. It was amazing weather and the kids had an absolute blast. We got there Friday afternoon and Kresee fished and fished but didn't catch anything. She was determined though and ended up with 7 fish on Saturday. Kohen fished some but enjoyed kayaking by himself and riding in the canoe a lot. Nana enjoying the hammock. Kerry and I laid in it a lot as well. We hope to make this a yearly trip. Either here or somewhere with similar things to do. We have been married 14 years (June 10, 2000). 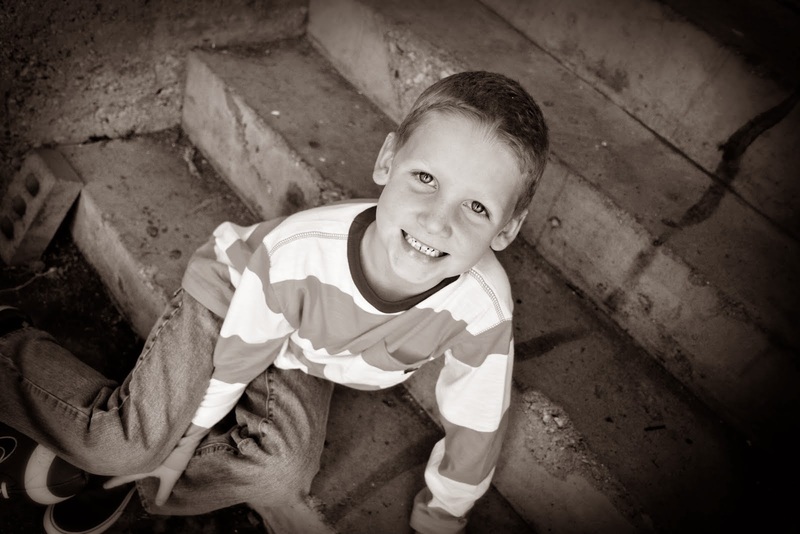 We have one boy, Kohen, who is 8 years old and is going into 3rd grade (April 20, 2006). 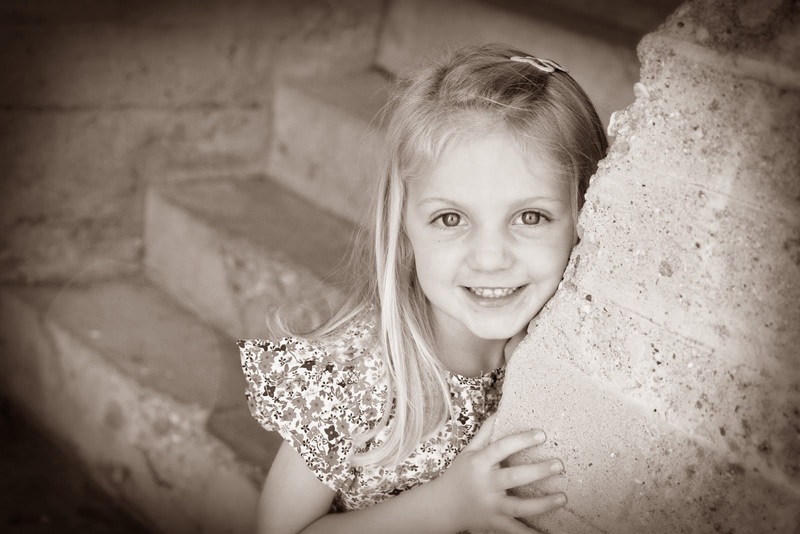 And then our little girl, Kresee Leigh, is 5 years old (March 5, 2009) and will be starting KG this Fall.